The Malaysian Rubber Export Promotion Council (MREPC) was incorporated on 14 April 2000 under the Companies Act 1965 as a company limited by guarantee to undertake the market promotion of rubber and rubber products in the world markets, particularly in support of the small and medium enterprises (SMEs). MREPC is governed by a Board of Trustees appointed by the Minister of Plantation Industries and Commodities. 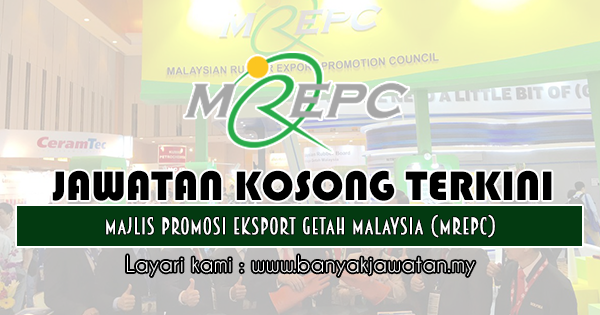 0 Response to "Jawatan Kosong di Majlis Promosi Eksport Getah Malaysia (MREPC) - 3 Mei 2019"